French international and Arsenal invincible Robert Pires has been named as the marquee signing for FC Goa, ending weeks of speculation as to which club the French superstar would sign for. 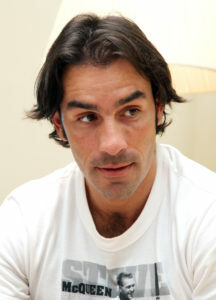 Pires, 40, scored over 60 goals during his six-year stint with Arsenal, along with 14 goals for France at international level. The Frenchman has also publicly expressed his desire to be a part of the growing Indian Super League. There he’ll join the likes of Alessandro del Piero, Marco Materazzi, Joan Capdevila, Mikael Silvestre and Freddie Ljungberg. Pires will no doubt feature in FC Goa’s first home match against Chennai Titans on October 16.